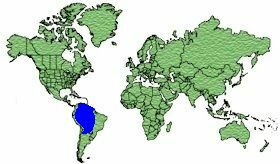 Columbia, Venezuela, Brazilian Amazon, Peru, Bolivia and North Argentina. 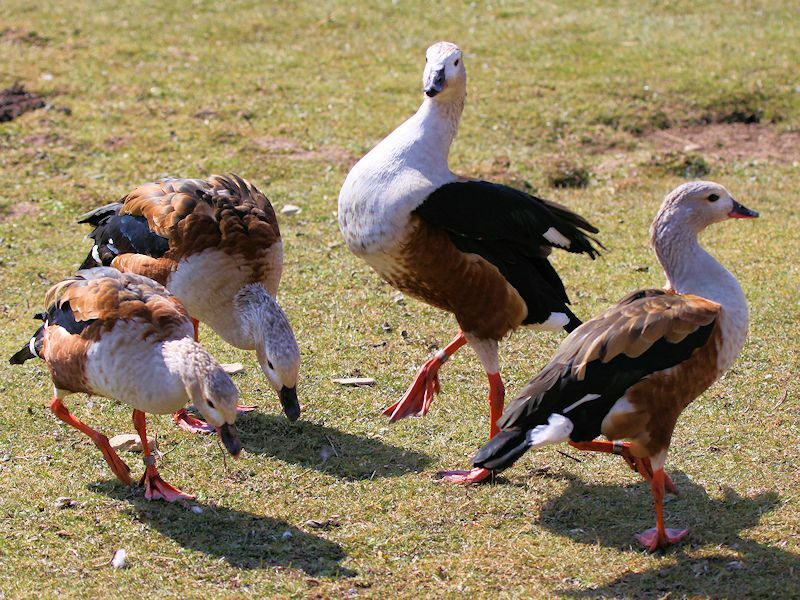 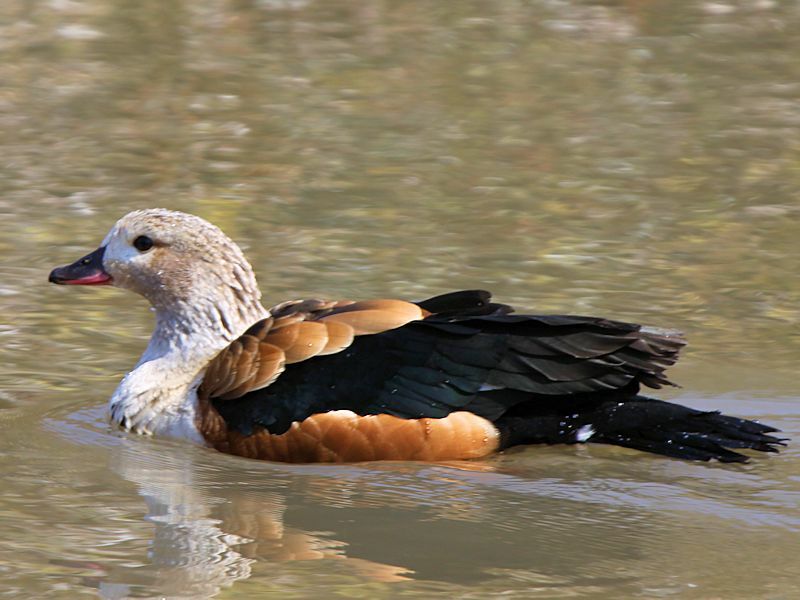 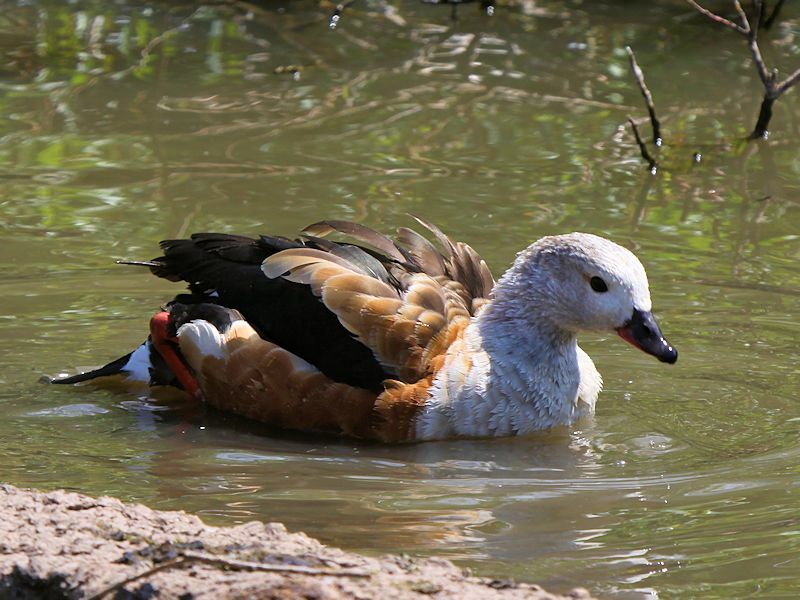 Orinoco Geese from Venezuela are nonmigratory, birds from Bolivia can migrate to the Amazon. 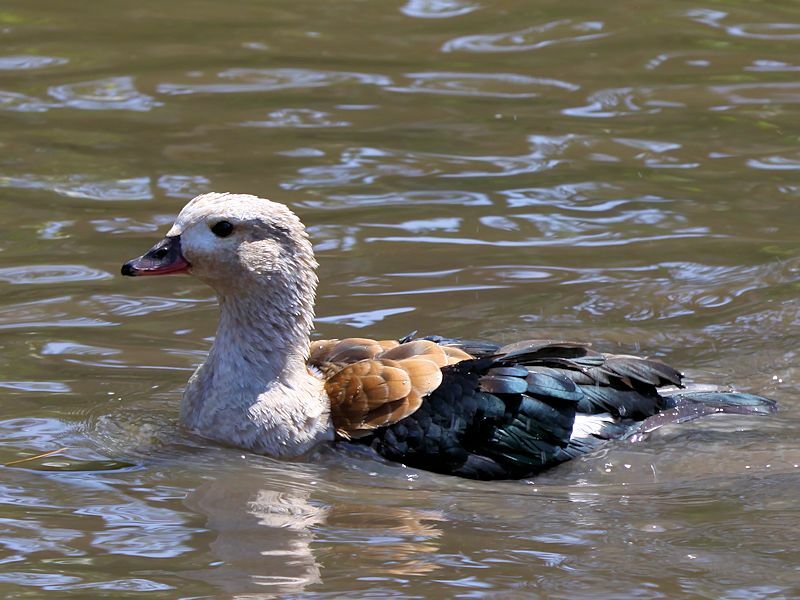 It has a Greyish-White head and neck, Chestnut flanks and mantle, Blackish wings with a White speculum. 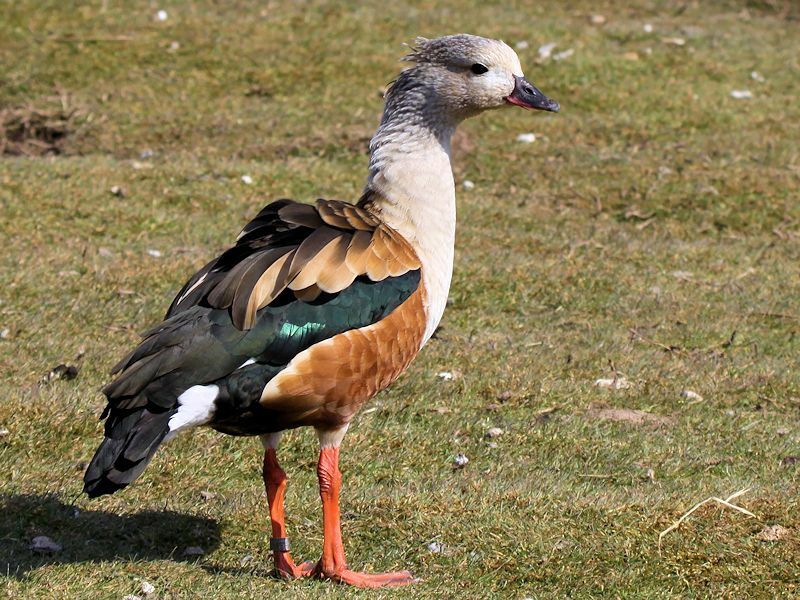 The legs are Pinkish-Red and the bill is Black and Pinkish. 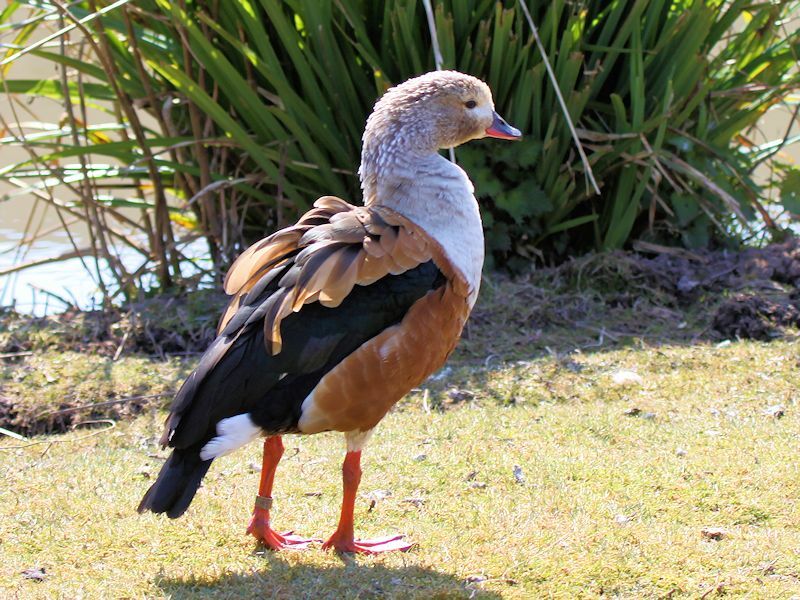 The same as the Drake but slightly smaller. 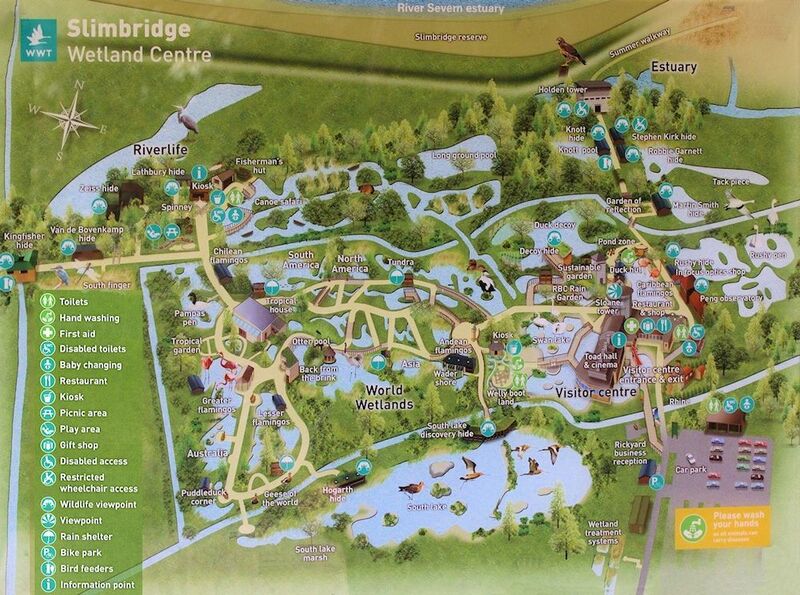 Forests Lakes of South America, Marshes, Woodland or Savanna. 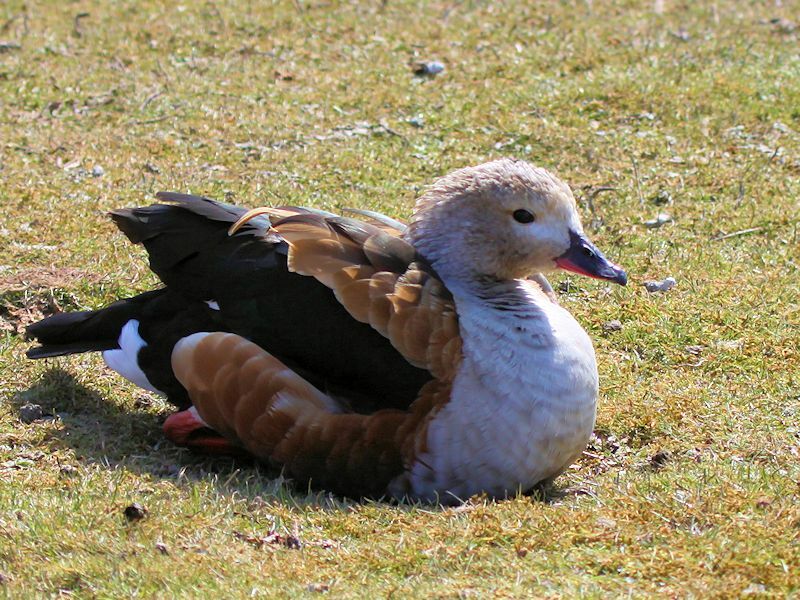 Mostly grazes on grass but also feeds on Insects and larvae. 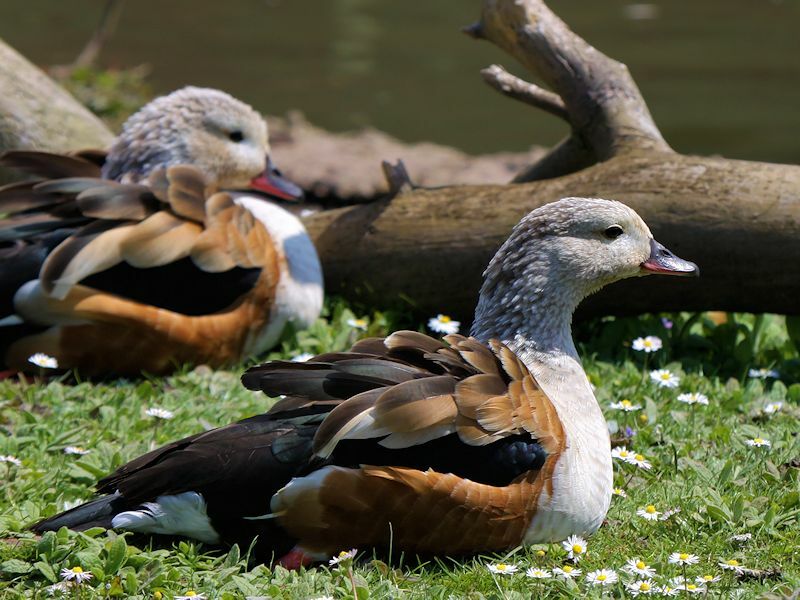 Nests in hollow trees or occasionally on the ground. 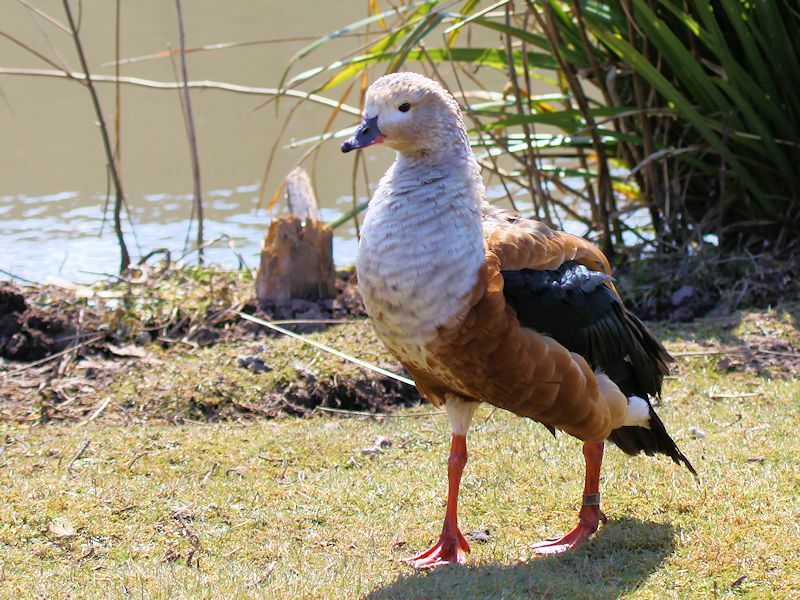 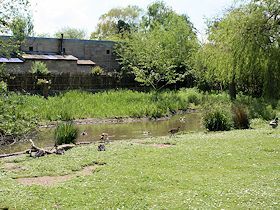 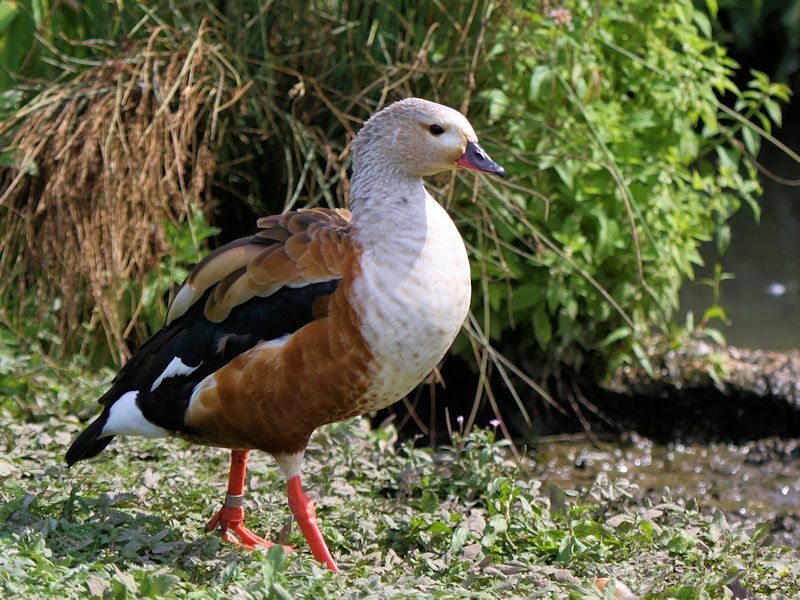 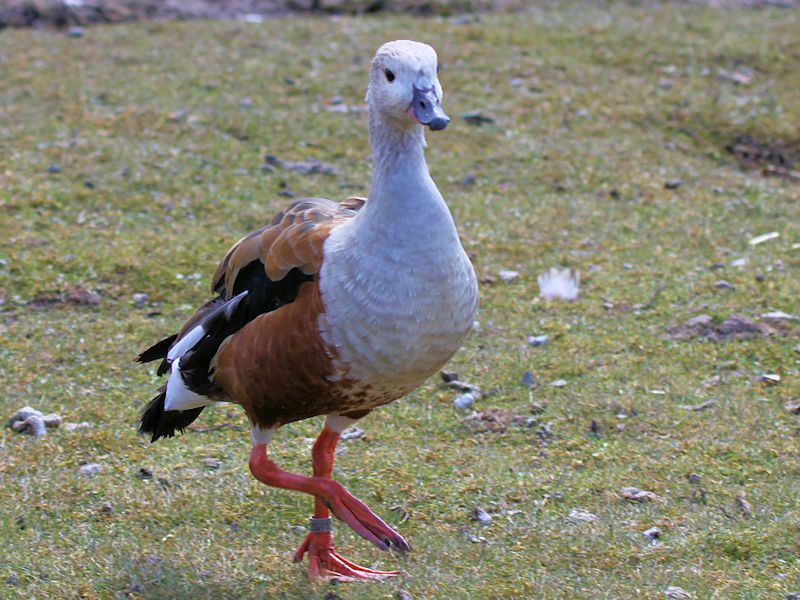 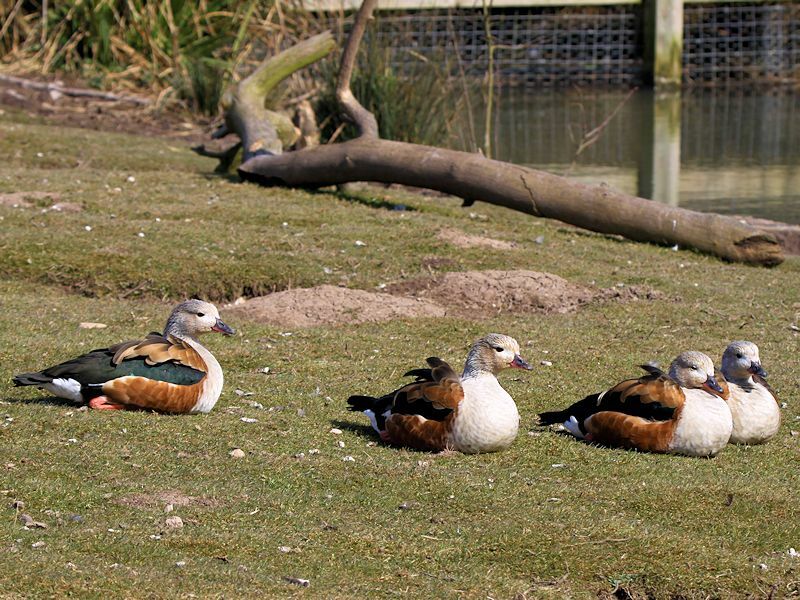 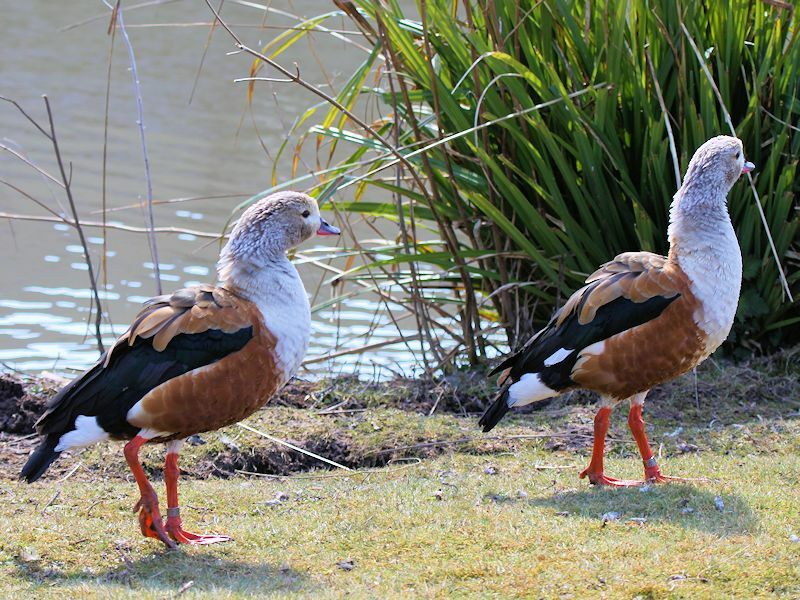 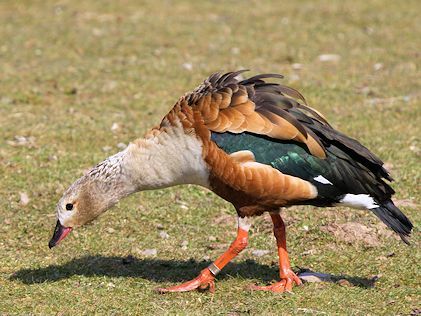 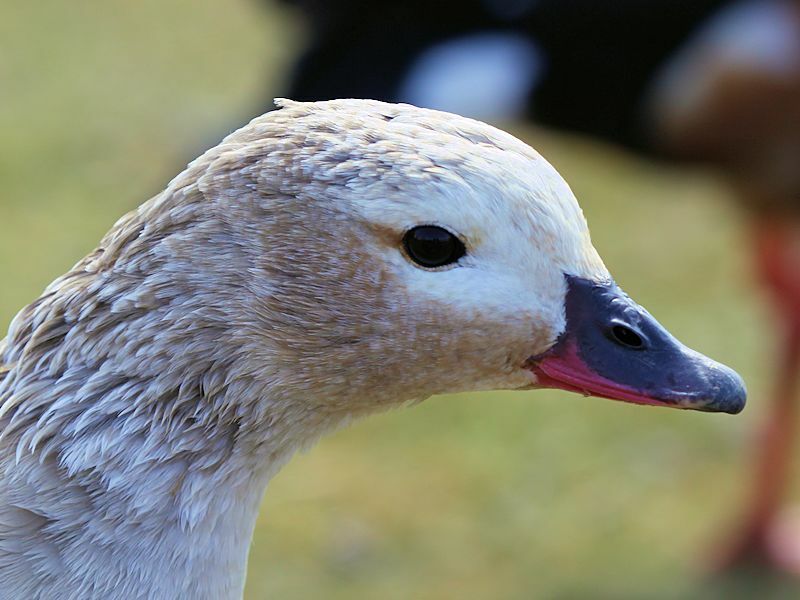 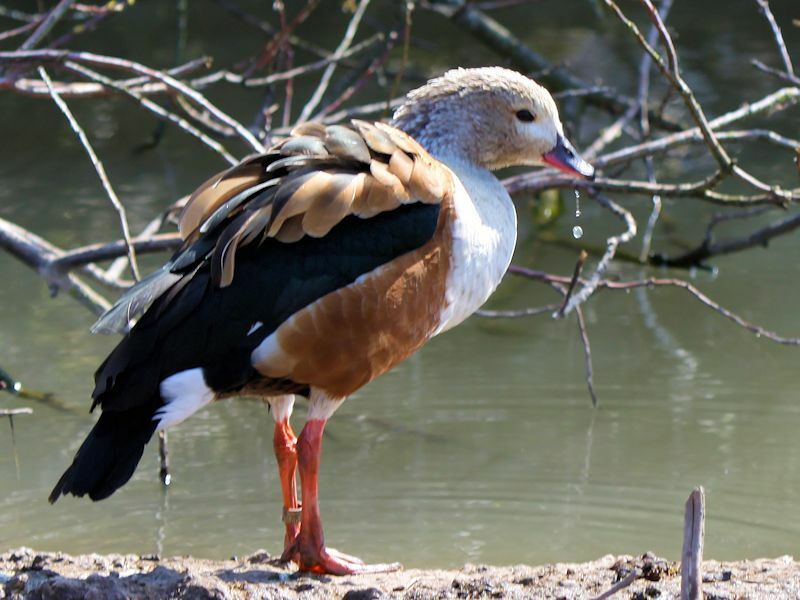 The Orinoco Goose is a member of the shelduck subfamily and the only living member of the Neochen genus. 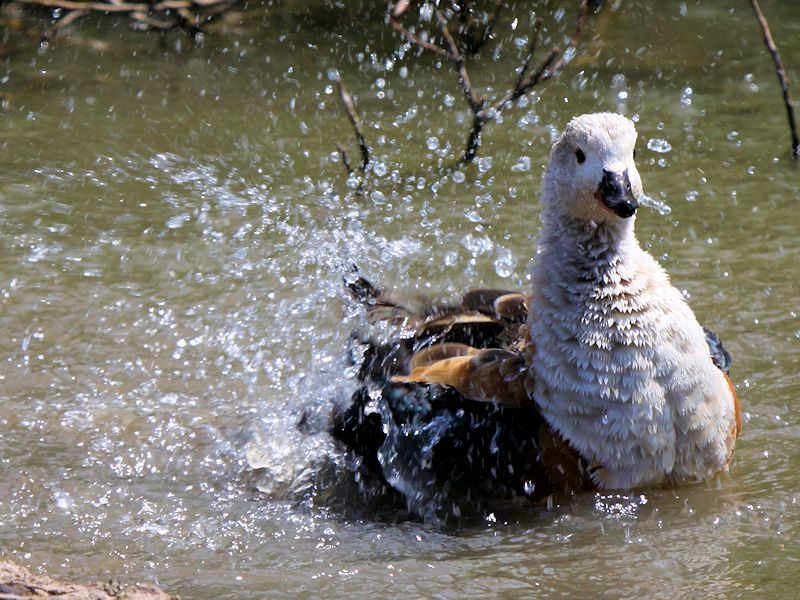 During flight it looks more like a goose than a duck hence the name. 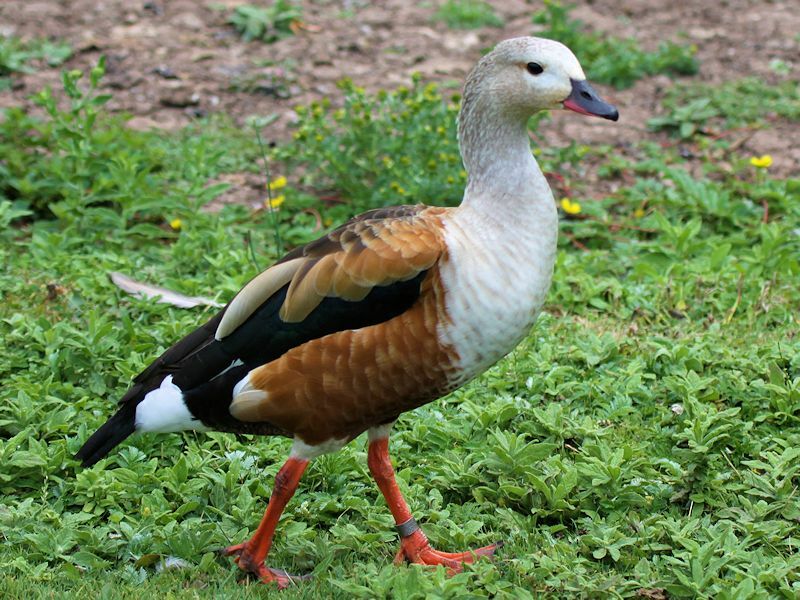 The Orinoco Goose is normally seen on land or perching on trees and rarely seen in the water or in flight. 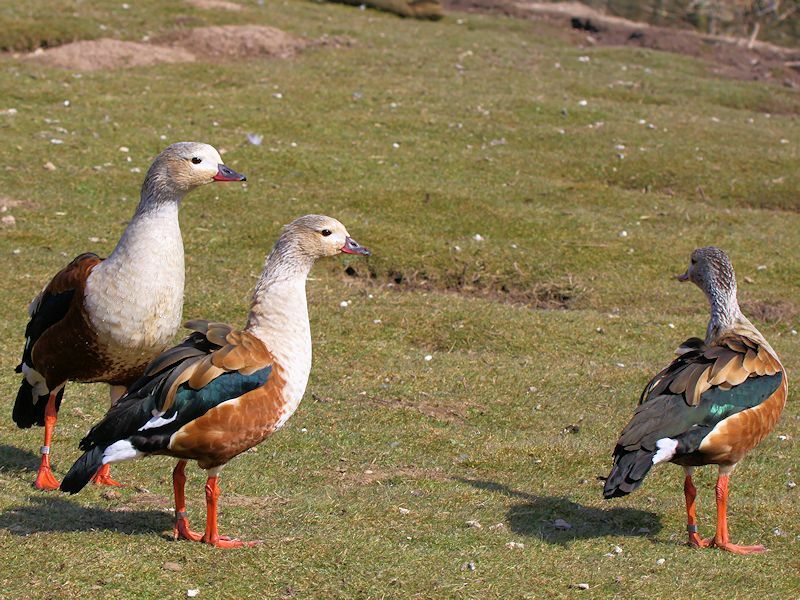 The male has a high pitched whistling call and the female cackles.